Speakers as beautiful as the New Radius 90 and 45 are just too good for a conventional stand. So we’ve designed a brand new all-metal floor support that complements the profile of both speakers, transforming the assembly into a slender unity fit for any room. 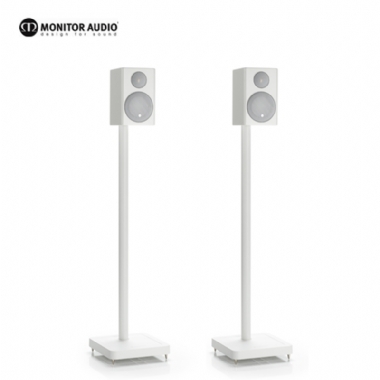 Standing at around a metre tall, the combination places the speaker at the perfect listening height and looks elegantly streamlined while occupying minimal floor space. The Radius stand is constructed using ARC® material, which acts to dampen vibrations, so you hear only the speaker. For convenience and a superior wire-free appearance, high quality pure-copper cable runs internally from terminals at the floor to terminal forks at the top, onto which the speaker simply pushes. It’s an easy, innovative way to give your new Radius speaker the support it deserves.